Hi everyone! 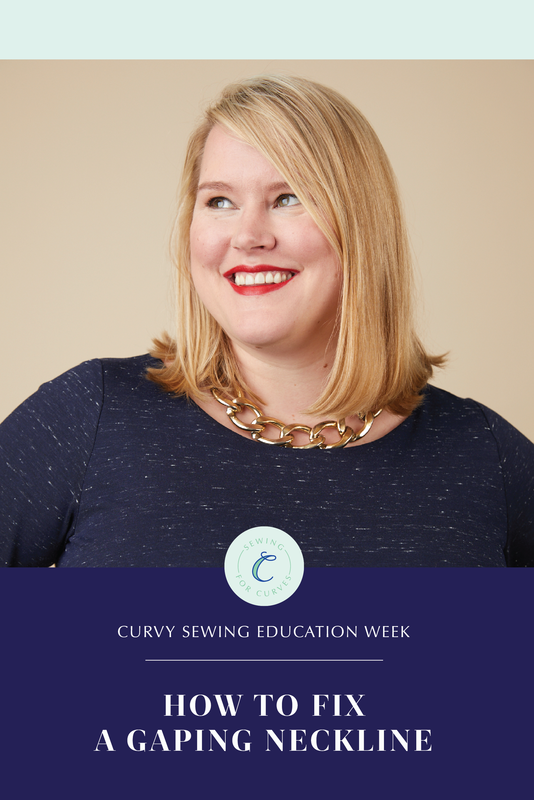 First up today, I’m sharing a video from our Fitting for Curves online workshop – remember you can get 25% off the full workshop if you enroll by 31 August using code EDUCATIONWEEK! Gaping necklines are a pretty common problem, and often one that’s hard to anticipate before you have a muslin. Sometimes, it just indicates that the garment is too big for you – check to see if the shoulders are falling off your shoulders, or the whole thing seems baggy, in which case you should start by going down a size. However, sometimes, even if the rest of a garment fits, the neckline doesn’t. That can happen for a number of reasons: for instance, you might have a lower bust than the pattern is designed for, or the angle of your shoulder to bust is slightly different. But not to worry: fixing a gaping neckline is actually pretty easy. 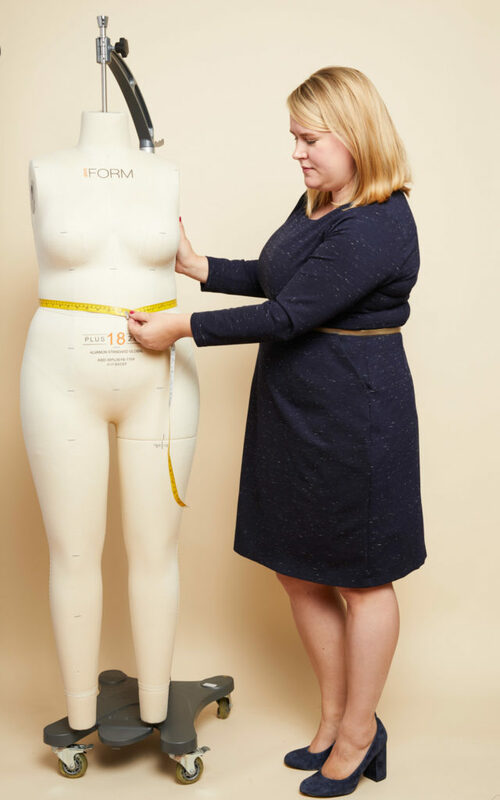 In this video from the Fitting for Curves online workshop I show you how to diagnose a gaping neckline, how to fix it, and what it will look like after the alteration. I hope you found that helpful! 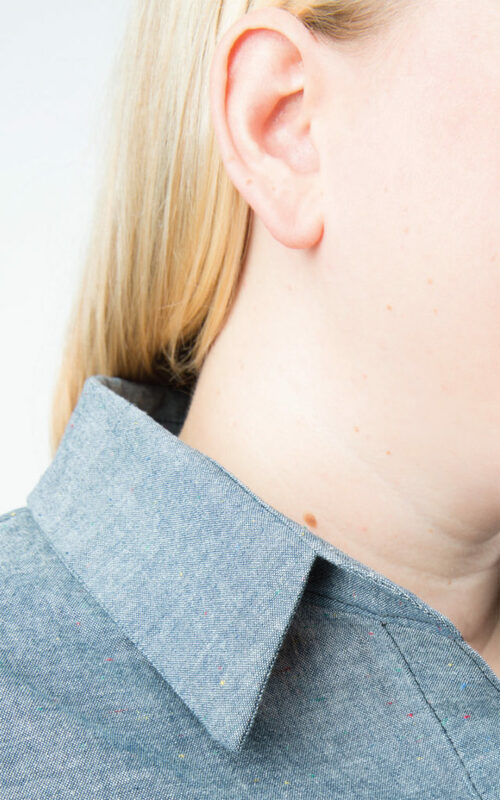 Do you have any other questions about fixing a gaping neckline? Thank you for this video, it is very useful! Very clear instructions for gaping neckline. I always have this problem with RTW. Thank you so much. Thank you so much for the mini tutorial. Now I can fix all my patterns the right way. I would just make a center seam down the whole front to fix the gapping in my tops and pull over dresses. Thanks for that Jenny, that was very helpful. I’m making your Springfield top and I was going to cut a wedge out the centre back yoke and realised if I did that the pattern on my fabric wouldn’t have been straight when I sewed it up. One quick video and all has become clear. My other halves suggestion to the problem was to grow a hunch. He on the other hand is not very helpful !! !